If you have ever wished for a much more faster software downloads in Ubuntu, well, apt-fast could possibly make your wishes come true. Apt-fast is a simple bash script that accelerates apt-get download speeds coinsiderably. Apt-fast is a simple command line utility that can make installation and upgrading of softwares in Ubuntu/Debian much faster. Apt-fast make use of Axel app which accelerates HTTP/FTP downloads by using multiple sources for one file. Author claims that, apt-fast could make your installations and upgrades up to 26x faster! 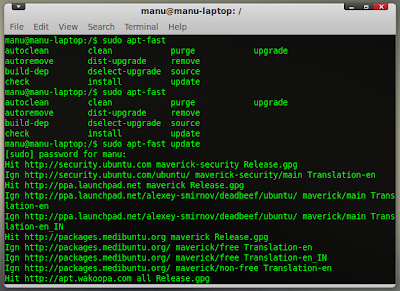 How to Install Apt-fast in Ubuntu Maverick, Lucid via PPA? There is a PPA available for easy installation of Apt-fast. Do the following in Terminal. Done. 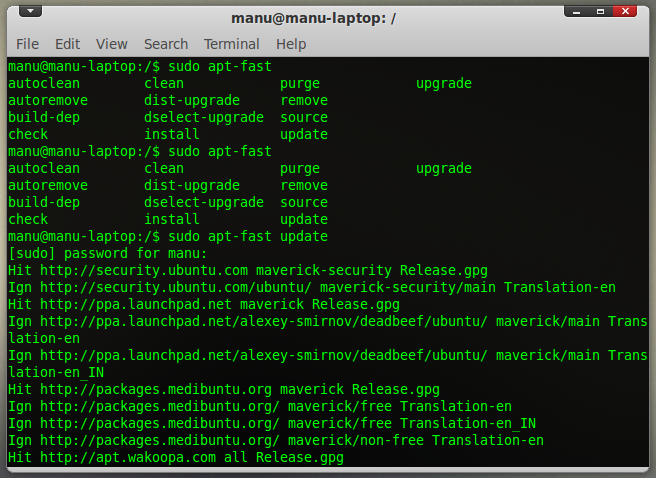 Now you can use apt-fast to install anything in your Ubuntu a lot more faster. Though I can't give you any assurance regarding how good apt-fast is going to work, many users have claimed that it is actually working pretty neat most of the time. Thanks to webupd8 for the post. Meanwhile, you might want to try brilliant Guake Terminal emulator for GNOME.